I have previously written about The Drama Triangle, and suggested how to recognise you are in one and how to get out of it. The other side of The Drama Triangle coin is the Winner’s Triangle. It also has three participants, but is a constructive system rather than a destructive one. The idea of it has been around since at least the 1980s, and may have been first described by Acey Choy. Note how the roles in the Winner’s Triangle are descriptions of behaviour, rather than labels of people. This in itself gives suggestions of ways to move from a Drama Triangle to a Winner’s Triangle. In the Drama Triangle, the Victim can often feel powerless but can end up holding quite a bit of power by manipulating the other participants. By embracing and accepting their vulnerability they can, paradoxically, discover their own strength. By being supported but not having everything fixed for them, the Victim can develop resilience and problem-solving skills. Persecutor can move to Assertive by using their energy to solve issues rather than blaming, shaming, punishing or putting down. At the same time as maintaining their own boundaries, they do not overstep someone else’s. Rescuer can move to Caring by supporting and listening to Vulnerable and believing in their ability to solve the problem, but not doing everything for them. This is a service in the long run, because it enables Vulnerable to grow and develop their own resources. This position also helps Caring to develop their own ability to say no when necessary. 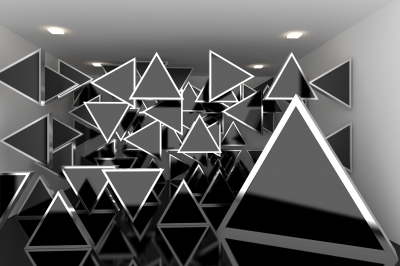 These Triangles can be played out between individuals, large groups of people and everything in between. Just about everyone has been involved in a Triangle at some point. A final note: beware the Bystander role! This is the fourth role in the Drama Triangle that sits just to one side of it. The Bystander observes what is happening but chooses not to get involved. This might be because they think it is none of their business, or that they themselves might suffer for getting involved. This can, of course, be true – and personal safety is a valid and important consideration. However, the Bystander can also help maintain the Drama Triangle by appearing to give tacit approval to what is happening. Throughout history, Persecutors in particular have felt supported and validated by Bystanders. This can increase the feeling of powerlessness in the Victim – and even encourage other Persecutors to join in, spiralling the system into further destruction. If you find yourself in the Bystander role, try to see the situation from a compassionate viewpoint. Put yourself in the Victim’s place – what would be genuinely helpful, halt the destruction and assist everyone in moving into a Winner’s Triangle? These are big questions, and only you can answer them for yourself for any given situation. What do you want your role to be? The idea of “triangles” can be a very useful one when thinking about relationships. We are all part of these triangles – in our families, in our work, amongst our friends. So what does it mean to be in a triangle? So, triangle systems involving three people are more stable than those involving two (you might remember learning that the triangle is “the most stable shape” at school). In any relationship involving two people, sooner or later any problems mean a third person gets involved. Sometimes this third person might not even realise they are being pulled in! The Drama Triangle was first published by Dr Stephen Karpman in 1968, so you might see it being referred to under his name. The Karpman Triangle has three positions – Victim, Rescuer and Persecutor. The Victim feels powerless and unable to make changes, at the mercy of the Persecutor and looking to the Rescuer for help. The Rescuer swoops in to save the day, or feels guilty if s/he doesn’t. The Persecutor blames and controls. It might seem to outsiders that the Persecutor has the most power. Yet the other positions are powerful in their own way. The Victim uses guilt and manipulation to get what they want without having to take action, while the Rescuer can feel superior and admired. The important thing to note is that the Rescuer’s help can actually end up being unhelpful for the Victim. This is because the Victim is then unable to experience failure and develop their resources to survive it. The Victim can end up feeling that change isn’t possible at all, and the Rescuer can enable this and lead to codependency. The Persecutor can also feel angry and frustrated, because it seems so clear to them where blame lies but others aren’t going along with it. Generally the triangle begins with Victim/Persecutor, with Rescuer being drawn in later. Once the triangle is set up and tensions are moving round and round it, something you might not expect happens. The participants switch roles. For example, the Victim becomes the Rescuer, the Rescuer becomes the Persecutor and the Persecutor becomes the Victim. It doesn’t matter who changes to what, as long as all three roles are filled. This might not make sense, so let’s have an example to make things clearer. Harry, Hermione and Ron are in the woods, trying to work out their next move. Ron is hungry, cold and fed up. He becomes Persecutor by blaming Hermione (Victim) for not being able to magic up food like his mum does. Immediately, Harry steps in as Rescuer to tell Ron to stop. This then makes Harry the Persecutor due to Ron’s fears of not being good enough and Harry being his love rival, so Ron moves into Victim. At this point Ron angrily leaves, and Hermione runs after him and tries to bring him back (Rescuer). This example involved outright conflict with insults and shouting. However, most triangles play out more quietly and are harder to recognise – for example, gossiping about a disliked coworker – so keeping in mind the roles and watching out for the patterns of guilt and blame can help you stop things before they blow up. How can you get out of a Drama Triangle? Step 1: recognise that you are in one, and what roles you have been playing. Watch for the repeating pattern. Step 2: take responsibility for yourself and your behaviour. Have you been blaming, criticising, supporting one or the other person to the detriment of the third? Think about how to act differently this time around. If you are in Victim, can you manage this yourself? If you are in Rescuer, can you let the Victim try their own way? If you are the Persecutor, can you stop blaming and criticising? You family history and examples of relationships you saw when growing up might mean you are more disposed to one position that the others. That isn’t your fault, but it can be changed and you can take on the responsibility of doing that. Step 3: allow others to take responsibility for themselves. Let them grow, let then work out their relationship difficulties without taking sides, support each as much as is reasonable without excluding the other. The triangle is sustained when two people bond at the expense of the other. “The Dance of Anger” by Dr Harriet Lerner has a lot of examples of triangles and advice for how to exit them. It is important to note that in cases of violence or other abuse, then of course the Victim should be protected from harm. Part of recovery from abuse involves developing inner resources to step out of Victim role, but the person must be safe first. In an emergency, call 999. You can also call 101 for police advice or contact one of the organisations listed on my “Useful links and other sources of help” page.